SAN FRANCISCO (Reuters) - Apple Inc is investigating how to charge electric cars, talking to charging station companies and hiring engineers with expertise in the area, according to people familiar with the matter and a review of LinkedIn profiles. 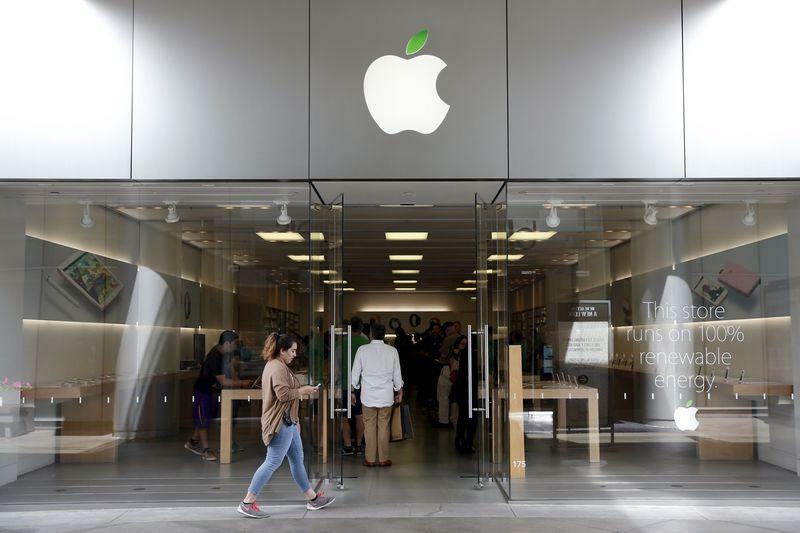 It is unclear whether Apple would want its own proprietary technology, such as Tesla Motors' Supercharger network, or design a system compatible with offerings from other market players. Arun Banskota, president of NRG Energy Inc's electric vehicle charging business, EVgo, did not respond directly to questions about Apple, but said repeatedly his company was "in discussions with every manufacturer of today and every potential manufacturer of tomorrow." Apple has also hired at least four electric vehicle charging specialists, including former BMW employee Rónán Ó Braonáin, who worked on integrating charging infrastructure into home energy systems as well as communication between EVs, BMW and utilities, according a LinkedIn review. As recently as January Apple hired Nan Liu, an engineer who researched a form of wireless charging for electric vehicles, for instance. Quartz earlier this month reported that Apple had hired former Google charging expert Kurt Adelberger. Electric vehicle charging stations are manufactured, installed and operated under varying business models. Players in the space include private companies such as ChargePoint and ClipperCreek, public utilities, infrastructure companies such as Black & Veatch and AECOM as well as General Electric, Siemens and Delta Electronics Inc. The electric car industry has faced a chicken-and-egg paradox with the installation of charging stations. Property owners have been reluctant to install them before EVs hit the road en masse, and drivers are wary of buying EVs until charging stations are widely available. Apple's home state of California by 2020 will need about 13 to 25 times the roughly 8,000 work and public chargers it currently has, to support a projected 1 million zero-emission vehicles on the road, according to an estimate by the National Renewable Energy Laboratory. Tesla recently goosed electric vehicle demand, unveiling its more affordable Model 3 sedan, generating hundreds of thousands of reservations from potential buyers and leading many experts to calculate the number of EVs will soon outstrip the charging station supply. Tesla also has led the way with a proprietary network for customers, who also can use public chargers. Its more than 600 "Supercharger" stations juice up a car in about 30 minutes, more than twice as fast as the standard "fast charger," called Level 2. One global engineering and construction firm already has reached out to Apple to offer its services, a person at the firm said.